The home of global brand Zouk Club Kuala Lumpur, is the largest superclub in Asia. At 106,000 sq ft, the two-storey entertainment complex is the most expensive club to be built in Malaysia, costing US$10 million to create and comprising 11 venues – clubs, members’ areas, alfresco dining, private rooms and a cafe which occupy a total of 60,000 sq ft of built-in space and the remaining 46,000 sq ft makes up the club’s underground carpark. 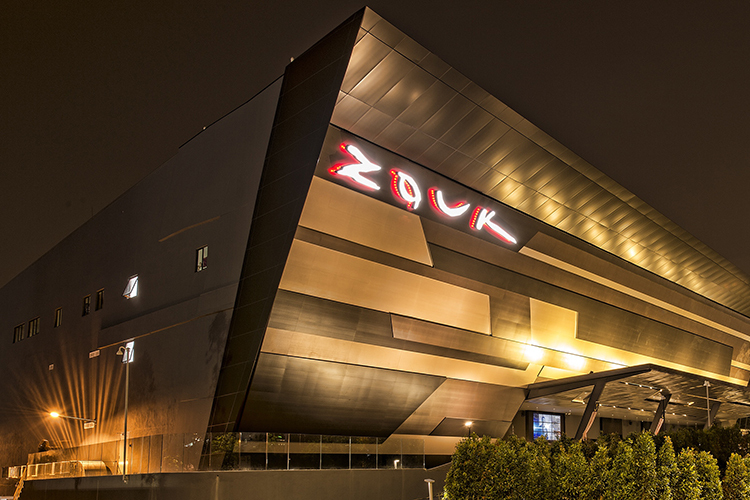 The all new Zouk KL is located at TREC KL – Malaysia’s largest and first purpose built entertainment enclave along Jalan Tun Razak. Zouk KL’s co-founder & Executive Director Cher Ng took lead of Zouk KL’s new concept with plenty of research and planning. American designer Phillips Connor of DB&B embraced the challenge of designing the club from inside out. 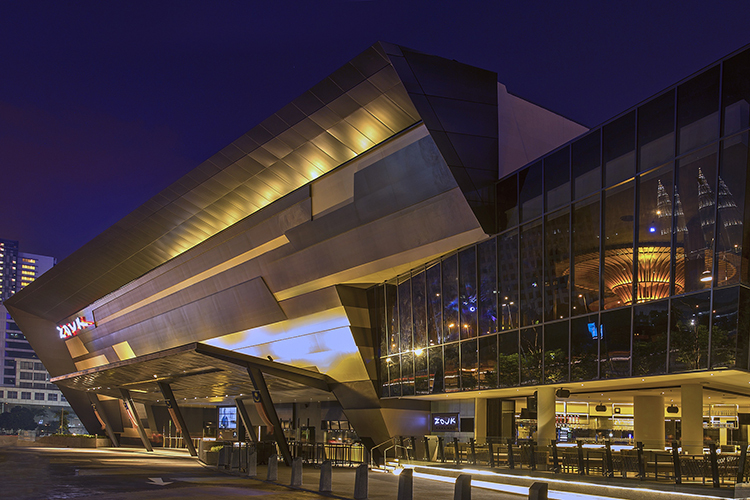 The external architecture was designed by award-winning Veritas Design Group as an iconic architectural statement – the venues bold façade is made of reflective materials fitted into strong symmetrical lines that pick up the light of the night sky. Adding to that are the lights, graphic elements and sound system within the walls of Zouk KL. Craig Burridge, Managing Director from Dreadnaut Creative was brought in to oversee the design installation and tuning of the sound system of the venue. 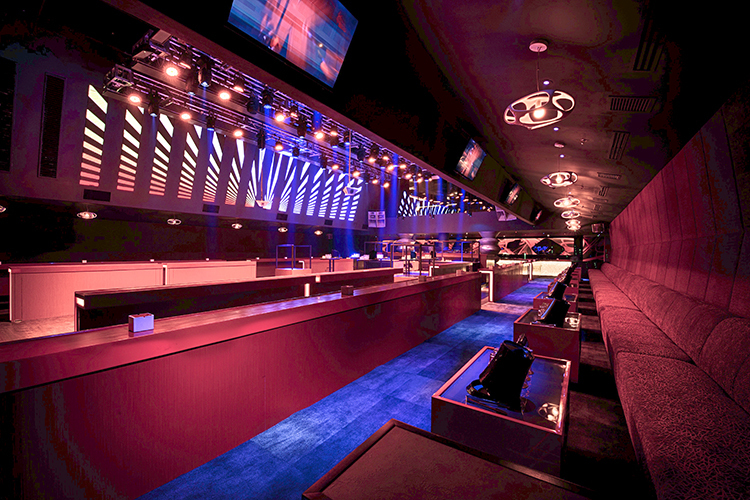 Zouk Mainroom – the biggest clubroom installed a total of 12 Funktion One Resolution 4S loudspeakers. Four flown either side of the DJ booth and the remaining two pairs at the opposite end of the dancefloor in both corners. To maximize high frequency sound coverage, two Funktion One Satellite Tweeter Pods have been flown above the dancefloor. While for bass requirements six Funktion One F218 bass enclosures have been stacked, two either side of the DJ console and one per side at the opposite end of the dancefloor. And to cover the low ceiling sofa areas around the periphery, eight Funktion One F88 loudspeakers have been installed. The sound system needed to satisfy the demand for power and quality. The Funktion One system is concentrated 85-90% on the dancefloor, with 10-15% to bring power to the sofa areas either side of the dancefloor. Amplification and processing for the room is provided by Ashly Audio – five Ashly nXp1.54 amplifiers, three Ashly nX1.54 amplifiers, two Ashly nXp4004 amplifiers and one Ashly ne4250pe amplifier. Two Ashly GQX-3102 equaliser, one Ashly ne8800 processor and three Ashly 4.8SP processors take care of loud speaker management duties. Sebastian Jurkowski founder of Contrast Studio, who was responsible for the lighting in Zouk KL explains that the lighting for Zouk Mainroom features a staggering one million LED lights fixed to moving panels on a controllable hoist system, which can all flash in synchronization. A custom built moving truss above the dancefloor adds to the atmosphere of the room – featuring 18 EK Pro lighting Par-Hex 7 washlights, 16 Steinigke Showtec Expression 5000 LED moving heads and 16 Cindy X-200 LED moving spotlights. The LED lighting panels were mapped via ArKaos MediaMaster Pro 4 video mapping software. For lighting control of the intelligent fixtures, a ChamSys MagicQ MQ100 Pro console, ChamSys MagicQ Playback wing console and a ChamSys MagicQ Execute wing console were chosen. For effects 10 MagicFX CO2 jets and three Kvant ClubMAX 1800 laser systems have been fitted to the truss above the dancefloor and are controlled via Pangolin Beyond Essentials lasershow software. 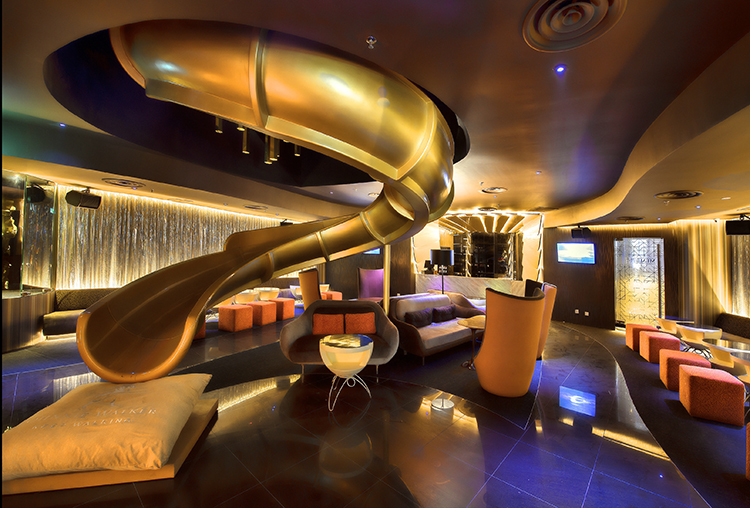 Each room in Zouk KL has its own unique identity and focus, from the sound and lighting to its interior appearance. Taking 3 years in planning, the award-winning superclub is a hallmark of club design and concept, with its dramatic architecture resonating with the global club brand. 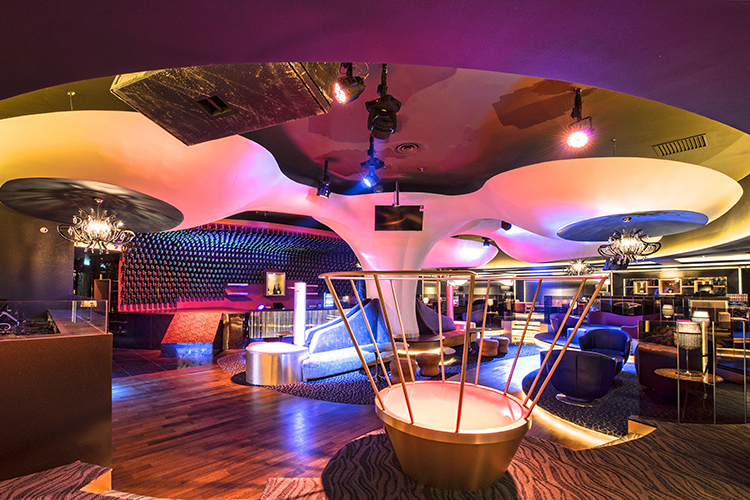 Zouk Club KL now stands poised to become the new landmark at its new address.